Today was a perfect day. Andre and I went to the mall to buy a wedding gift for our friends' wedding this weekend. We got to try the new French Fry Heaven kiosk. 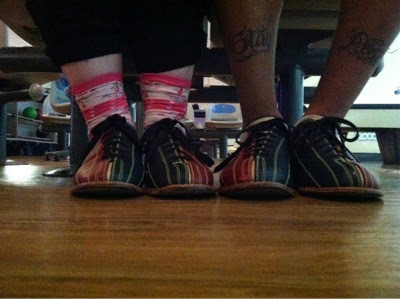 We went bowling during the day, which was super fun and way less crowded. And I still managed to squeeze in a 3-mile run. Like I said, perfect day.